This year marks the celebration of Huntington Homes 30th Anniversary. In the late eighties, brothers Sheldon and Rob Swan started the company with the goal of building superior custom homes. More than that, their mandate was to build perfect custom homes. With that goal in mind, Huntington introduced standard building specifications – piled foundations and engineered floor systems, for example – that were far above the industry norm at the time. Over time, they incorporated hundreds of custom building specifications, many of which have become building code over the past 30 years. 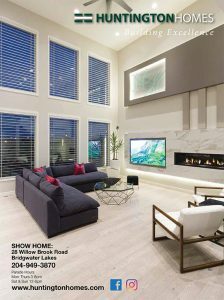 After three decades, it’s no surprise that Huntington continues to set the bar to new heights as Winnipeg’s leading custom homebuilder. “That’s because nothing has changed in that quest for perfection,” says Rob Swan. “That quest [for building the perfect home] started at the company’s inception and continues today. We didn’t just want to build a home – we wanted to build a near perfect home that would be fashionable, functional and last for a lifetime. 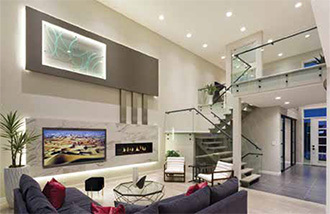 We sought out products and systems for building better homes. We incorporated hundreds of products and systems from all ends of Canada, the USA and all over the world. Searching for ways to build the perfect home back in the late eighties wasn’t a simple task,” he adds. In 2016, Sheldon Swan retired. Now under the sole leadership of Rob, Huntington Homes continues to be the top player in the game. Swan says there’s no danger of complacency setting in. He notes that one of Huntington’s most significant competitive advantages is its unrelenting attention to detail. Most importantly, Huntington’s staff members work closely with clients on every aspect of their home design. 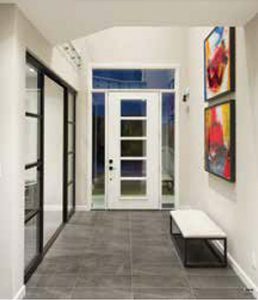 Huntington’s award-winning designs have been recognized by numerous North American publications, including Canadian Home Builder, Trends Magazine, Custom Builder and many others. Style Manitoba wishes continued success to Huntington Homes for the next 30 years and beyond! Written by Todd Lewys. Photography by Michael Roberts. Previously published in Style Manitoba, Spring 2018.